Potluck Panic 2016 Play it Now ! 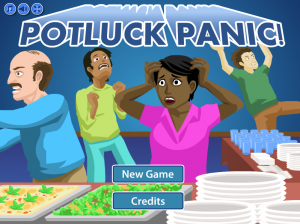 Potluck Panic is a free-to-play card based video game. You are tasked with making sure food is assembled with food safety in mind from factory to potluck. As you advance in the game, gather knowledge and skill to keep your guests safe from food borne illness.